Rachael Ray 3-Piece Bakeware Set Just $14.69! Down From $60! 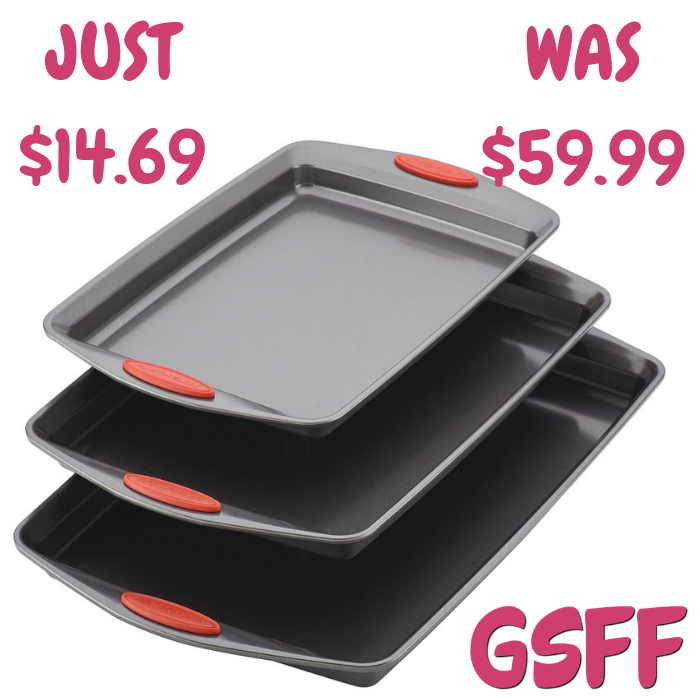 You are here: Home / Great Deals / Rachael Ray 3-Piece Bakeware Set Just $14.69! Down From $60! Rachael Ray Nonstick 3-Piece Bakeware Cookie Pan Set is made from durable steel that resists warping with long-lasting all-over nonstick that provides excellent food release and easy cleanup. A portion of the proceeds goes to Yum-o! (r), Rachael’s nonprofit that helps kids and parents develop healthy relationships with food Quality Assurance Guarantee!